Basil Ede loved drawing from an early age and on leaving school he attended Kingston School of Art in Surrey, but his artistic career was interrupted by compulsory military service. On leaving the army in 1951 he joined the Merchant Navy as a purser, a post that involved extensive travel in the Far East. The art he encountered on his travels had a great deal of impact on Ede's style, and when he moved into an executive job at the Cunard line he began to sell his bird designs to Cunard for their first-class menu cards. By the late fifties Ede was beginning to hold solo exhibitions in London, including two at the Tryon Gallery. His work reached a wide international audience in 1964, when he was awarded the first ever solo exhibition of a living artist at the Smithsonian, Washington DC (then the National Collection of Fine Arts). Following a stroke in 1989 that left Ede's right arm paralysed, he taught himself to paint with his left hand. His chosen medium shifted from watercolour to oils during this period, both because it afforded him more time to build detail and because it offered opportunities for freer expression and bolder colours. 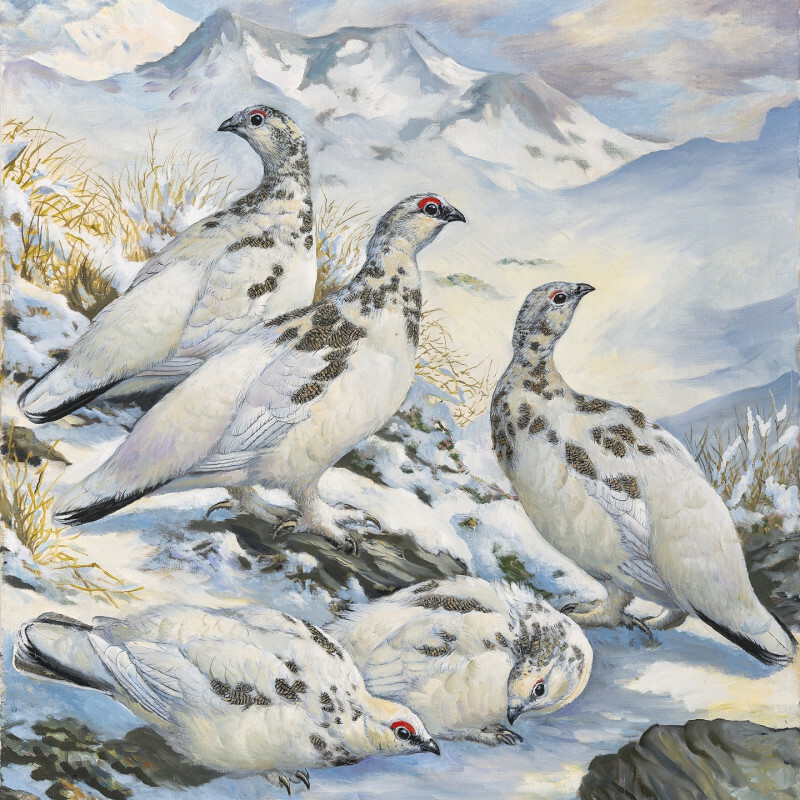 He was a founder member of the Society of Wildlife Artists and an honorary trustee of Ducks Unlimited (a US wildfowl and wetland conservation organisation). He was also a life member and supporter of the Royal Society for the Protection of Birds. In 1992, Ede was honoured with a Lifetime Achievement Award by the Southeastern Wildlife Exposition in Charleston, South Carolina.